Operated by Roger Maglio, the Colorado based Gear Fab label has been spitting out mega-rare delights from the sixties and seventies for nearly twenty years. The imprint has recently been digging up albums made by anonymous studio musicians whose mission was to exploit the psychedelic razzle dazzle of the day. On paper, or in this case, in cyberspace, such an activity sounds suspiciously deceptive. But nobody was hurt and no animals were harmed in the process of recording these efforts. Truth be told, many of the cash-in confections were rather remarkable. What we have here are two albums, “Sitar & Strings” by The Nirvana Sitar And String Group and a collection of various artists, “Born On The Road: Easy Rider” partnered onto a single disc. Consisting of all instrumentals, “Sitars & Strings” initially appeared on the Mr. G label in 1968. Groaning with sitars, cellos, and violins, the album takes the listener on a trippy tour of classical flavored Indian music. The Nirvana Sitar And String Group boldly labor the point home, as their jangled and tangled jams, shudder and shake with intensity. Self-composed pieces like “Crashing,” “Head,” and “Mind Waves” are imaginative enough to warrant endless spins, where adaptions of “A Whiter Shade Of Pale” (Procol Harum), “Never My Love” (The Association), “You Keep Me Hanging On” (The Supremes), “The Letter” (The Box Tops), and “Sunday Will Never Be The Same” (Spanky And The Gang) are plotted of interesting and exciting curves and angles. A surreal symphony of beauty, suspense, and cosmic fizz, “Sitars & Strings” may be a hack job, but what a great hack job it is. From 1970, there’s “Born On The Road: Easy Rider,” which obviously aimed to jump on the biker bandwagon of the hour. The cuts by Electric Food are particularly stunning. A strong Steppenwolf influence coats the band’s music, so it’s not surprising they cover the famed Los Angeles, California group’s “Born To Be Wild,” which is just as tough and tantalizing as the original version. Rocking hard and tight, Electric Food continues to snarl and swagger on “Tavern” and the Cream styled “I’ll Try,” while renditions of “The House Of The Rising Sun” (The Animals) and “Up Around The Bend” (Creedence Clearwater Revival) bristle and blaze with comparable power and purpose. Meaty and manly vocals, unified with racing keyboards and slashing guitar riffs led Electric Food to be quite a heavy happening. The Black Kids check in with a booming copy of Melanie’s gospel-soaked anthem, “Lay Down (Candles In The Rain,”), and The Ten O’Clock Bubble Gum Train’s “Hey Little Girl” serves as a chirpy garage pop ditty, pronounced by some neat organ passages. Catchy songs from The Automated Blues Inc., The Petards, and John Deen & The Trakk are additionally presented on the album. 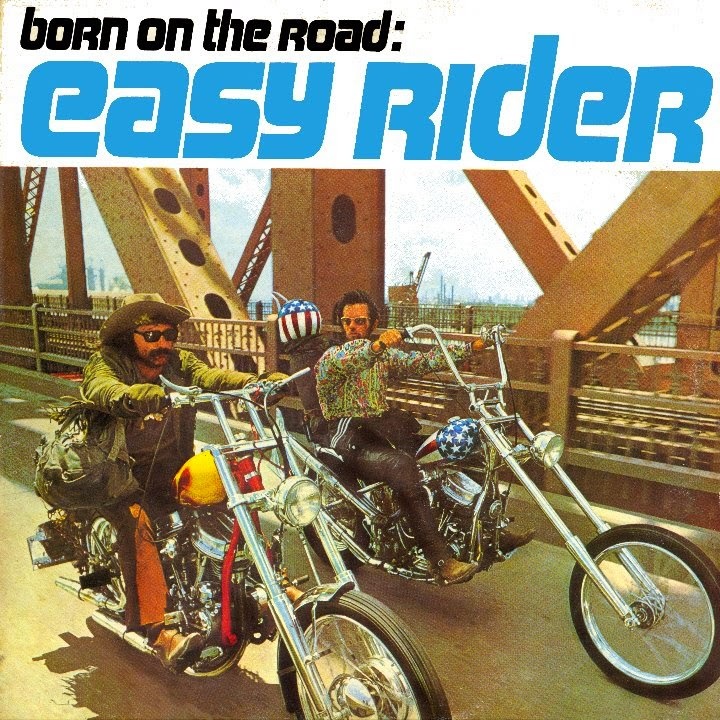 Cheeky, cheesy, and oddly charming, neither “Sitars & Strings” nor “Born On The Road: Easy Rider” intended to storm the airwaves and change the world, but simply entertain the limited audience the records reached. Long forgotten and insanely obscure, the albums will no doubt be appreciated more now than they were then. 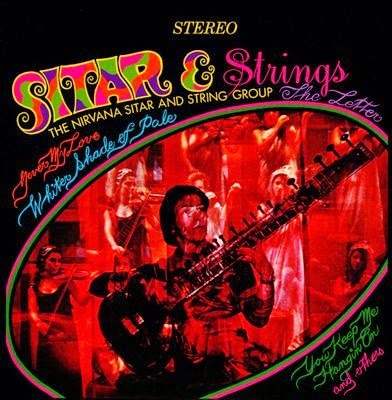 Beverly PatersonReviewsThe Nirvana Sitar And String Group "Sitar & Strings"/"Born On The Road: Easy Rider"